I am delighted to address the National Economists Club, and I am also honored on this occasion to be associated with Herb Stein, whose public service and scholarship--characterized by careful analysis, clear-eyed pragmatism, and sharp wit--exemplified the best in our profession. Herb was willing to consider new ideas and new approaches to government policy, and that openness fits with the subject of my remarks today. Namely, I will discuss the unconventional monetary policy tools used by the Federal Reserve since the start of the financial crisis and Great Recession and the role that those tools may play in addressing future economic challenges. Nearly 10 years ago, with our nation mired in its worst economic and financial crisis since the Great Depression, the Federal Open Market Committee (FOMC) confronted a key challenge to the pursuit of its congressionally mandated goals of maximum employment and price stability: how to support a weakening U.S. economy once our main conventional policy tool, the federal funds rate, had been lowered to essentially zero. Addressing that problem eventually led to a second challenge: how to ensure that we could scale back monetary policy accommodation in an orderly fashion once it was no longer needed. Failure to meet either challenge would have significantly compromised our ability to foster maximum employment and price stability, leading to serious consequences for the livelihoods of millions of Americans. I will argue today that we have met the first challenge and have made good progress to date in meeting the second. Thanks in part to the monetary policy accommodation provided in the aftermath of the crisis--especially through enhanced forward rate guidance and large-scale asset purchases--the U.S. economy has made great strides. Indeed, with the economy now operating near maximum employment and inflation expected to rise to the FOMC´s 2 percent objective over the next couple of years, the FOMC has been scaling back the accommodation provided in response to the Great Recession. In no small part because of our authority to pay interest on excess reserves, the process of removing policy accommodation is working well. After discussing a few issues related to our recent decision to start reducing the size of the Federal Reserve´s balance sheet, I will address a key question: What is the appropriate future role of the unconventional policy tools that we deployed to address the Great Recession? While I believe that influencing short-term interest rates should continue to be our primary monetary policy lever in normal times, our unconventional policy tools will likely be needed again should some future economic downturn drive short-term interest rates back to their effective lower bound. Indeed, empirical analysis suggests that the neutral federal funds rate--defined as the level of the federal funds rate that is neither expansionary nor contractionary when the economy is operating near its potential--is much lower than in previous decades. Consequently, the probability that short-term interest rates may need to be reduced to their effective lower bound at some point is uncomfortably high, even in the absence of a major financial and economic crisis. I will return to the question about the future of our various policy tools, but first I would like to review our experience this decade, which I view as instructive for addressing that question. A substantial body of evidence suggests that the U.S. economy is much stronger today than it would have been without the unconventional monetary policy tools deployed by the Federal Reserve in response to the Great Recession. Two key tools were large-scale asset purchases and forward guidance about our intentions for the future path of short-term interest rates. The rationale for those tools was straightforward: Given our inability to meaningfully lower short-term interest rates after they reached near-zero in late 2008, the FOMC used increasingly explicit forward rate guidance and asset purchases to apply downward pressure on longer-term interest rates, which were still well above zero. By 2014, the U.S. economy was making notable progress toward the FOMC´s goals of maximum employment and price stability. The unemployment rate had dropped to 6 percent by midyear--well below its Great Recession peak of 10 percent--and other measures of labor market conditions were also showing significant improvement. In addition, inflation, as measured by the change in the price index for personal consumption expenditures, had reached about 1-3/4 percent by mid-2014 after hovering around 1 percent in the fall of 2013. Reflecting that progress, the Federal Reserve´s focus was shifting from providing additional monetary policy accommodation to scaling it back.7 A key question for the FOMC then was how to reduce the degree of accommodation in the context of a vastly expanded Federal Reserve balance sheet. One possible approach was to start by reducing the Federal Reserve´s securities holdings while short-term interest rates remained at the lower bound. We could allow securities to roll off the Federal Reserve´s balance sheet and even sell securities, thereby putting upward pressure on long-term rates while calibrating the pace and configuration of the reduction in our holdings as warranted by our maximum employment and price stability objectives. Eventually, once our securities holdings had shrunk sufficiently, the FOMC could start nudging up its short-term interest rate target. One problem of this "last in, first out" approach was that the FOMC does not have any experience in calibrating the pace and composition of asset redemptions and sales to actual and prospective economic conditions. Indeed, as the so-called taper tantrum of 2013 illustrated, even talk of prospective changes in our securities holdings can elicit unexpected abrupt changes in financial conditions. 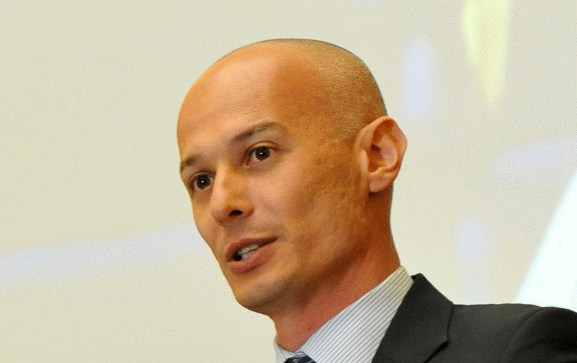 Given the lack of experience with reducing our asset holdings to scale back monetary policy accommodation and the need to carefully calibrate the removal of accommodation, the FOMC opted to allow changes in the Federal Reserve´s securities holdings to play a secondary role in the Committee´s normalization strategy. Rather than balance sheet shrinkage, the FOMC decided that its primary tool for scaling back monetary policy accommodation would be influencing short-term interest rates. One advantage of the FOMC´s chosen approach to scaling back accommodation is that both the FOMC and the public have decades of experience with adjustments in short-term interest rates in response to changes in economic conditions. Nonetheless, the post-crisis environment presented a new test to the FOMC´s ability to influence short-term interest rates. Before the crisis, the FOMC could raise the federal funds rate--the rate at which banks with excess reserves lend to banks with a reserve need--by removing a small amount of reserves from the banking system. That would translate into a higher federal funds rate because reserves were relatively scarce to begin with. The intuition was simple: The FOMC would signal that it was going to tighten conditions in the reserve market, and the cost of obtaining reserves in the market--the federal funds rate--would rise. Other market interest rates would then increase accordingly. After the crisis, however, reserves were plentiful because the Federal Reserve funded its large-scale asset purchases through adding reserves to the system--crediting the bank accounts of those who were selling assets to the Fed. Moreover, in light of the FOMC´s decision not to sell the longer-term securities it acquired, reserves were likely to remain plentiful for the foreseeable future. Consequently, when the time came to remove accommodation, a key question for the Committee was how to raise the federal funds rate in an environment of abundant reserves.10 An important part of the answer to that question came in the Federal Reserve´s authority to pay interest on excess reserves. 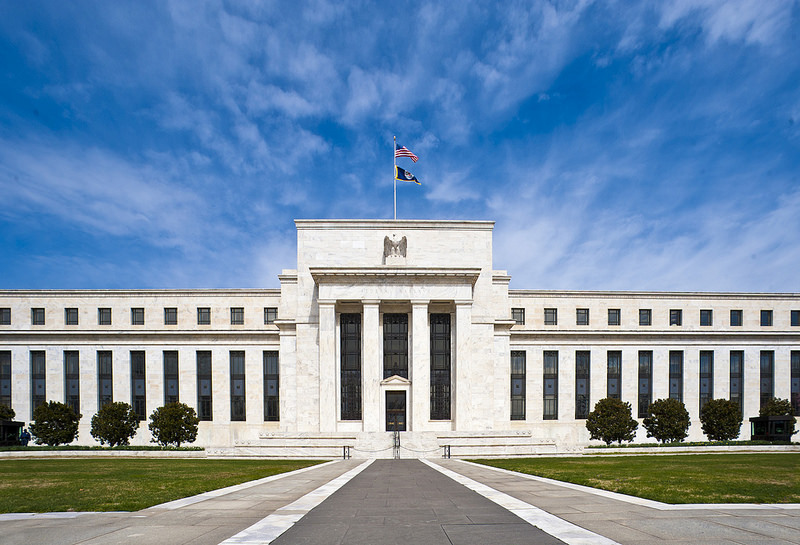 The Congress granted the Federal Reserve that authority in 2006, to become effective in 2011. However, in the fall of 2008, the Congress moved up the effective date to October 2008. The guidance that the FOMC would eventually start a gradual and predictable reduction of the Federal Reserve´s securities holdings implied that the downward pressure on longer-term yields would likely diminish over time as financial market participants came to expect that the start of balance sheet normalization was nearing. Indeed, with that process now under way, it is likely that our securities holdings are now depressing the term premium on the 10-year yield by somewhat less than the 1 percentage point estimate reported for late last year. The judgment that the downward pressure on term premiums will decline only gradually as we reduce the size of our balance sheet stands in sharp contrast to evidence suggesting that this pressure built up rather quickly when we were expanding our balance sheet. To understand this contrast, remember that, unlike our plan to shrink our balance sheet, the various phases of our asset purchases had, to differing degrees, an element of surprise, with asset purchase announcements occasionally leaving a distinct imprint on the path of longer-term yields. Moreover, each of our asset purchase programs resulted in a rapid increase in our securities holdings during a relatively short period, whereas the normalization process will play out gradually over many years. I have focused thus far on the likely response of term premiums to our balance sheet reduction plan. Let me turn my attention briefly to the likely response of longer-term yields, which, as I have noted, reflect both a term premium component and expectations of the future path of short-term interest rates. While the available evidence points to a strong reaction of longer-term yields to our asset purchases, it is conceivable that those yields will react much more modestly to our balance sheet reduction plan. As the financial crisis and Great Recession fade into the past and the stance of monetary policy gradually returns to normal, a natural question concerns the possible future role of the unconventional policy tools we deployed after the onset of the crisis. My colleagues on the FOMC and I believe that, whenever possible, influencing short-term interest rates by targeting the federal funds rate should be our primary tool. As I have already noted, we have a long track record using this tool to pursue our statutory goals. In contrast, we have much more limited experience with using our securities holdings for that purpose. Where does this assessment leave our unconventional policy tools? I believe their deployment should be considered again if our conventional tool reaches its limit--that is, when the federal funds rate has reached its effective lower bound and the U.S. economy still needs further monetary policy accommodation. Of course, substantial uncertainty surrounds any estimates of the neutral level of short-term interest rates. In this regard, there is an important asymmetry to consider. If the neutral rate turns out to be significantly higher than we currently estimate, it is less likely that we will have to deploy our unconventional tools again. In contrast, if the neutral rate is as low as we estimate or even lower, we will be glad to have our unconventional tools in our toolkit. The bottom line is that we must recognize that our unconventional tools might have to be used again. If we are indeed living in a low-neutral-rate world, a significantly less severe economic downturn than the Great Recession might be sufficient to drive short-term interest rates back to their effective lower bound. Let me conclude with a brief summary. 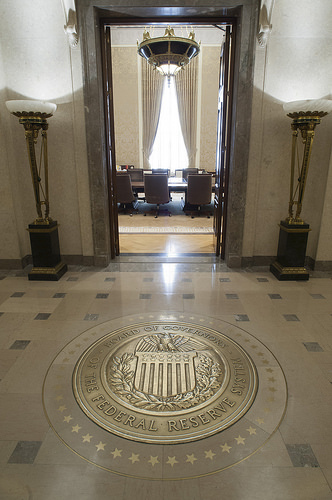 As a result of the Great Recession, the Federal Reserve has confronted two key challenges over the past several years: One, the FOMC had to provide additional policy accommodation after short-term interest rates reached their effective lower bound; and two, subsequently, as we made progress toward the achievement of our mandate, we had to start scaling back that accommodation in the presence of a vastly expanded Federal Reserve balance sheet. 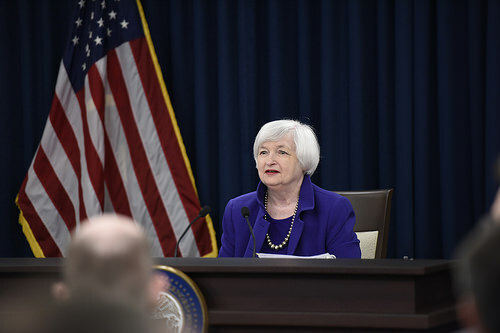 Today I highlighted two points about the FOMC´s experience with those challenges. First, the monetary policy tools that the Federal Reserve deployed in the immediate aftermath of the crisis--explicit forward rate guidance, large-scale asset purchases, and the payment of interest on excess reserves--have helped us overcome these challenges. Second, in light of evidence suggesting that the neutral level of short-term interest rates is significantly lower than it was in previous decades, the likelihood that future monetary policymakers will have to confront those two challenges again is uncomfortably high. For this reason, we must keep our unconventional policy tools ready to be deployed again should short-term interest rates return to their effective lower bound.